Want to be hired by Leesa? 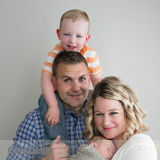 We are a fun young professional couple searching for a reliable loving experienced nanny/babysitter for our two boys. Our oldest son is 3 years old and our youngest is almost 1. We are looking for someone we can use for babysitting when we have events or want to go out on a date! We want someone who is creative energetic and engaging to the children . We look forward to hearing from you!